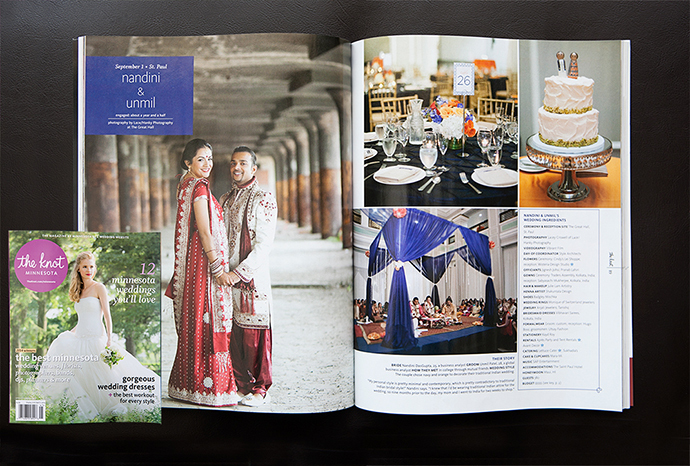 An and Aaron's hard work and vision for their wedding paid off. 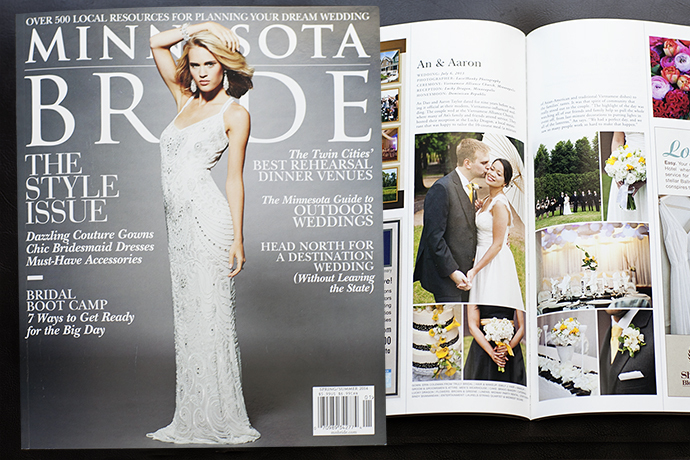 Not only was it a truly amazing day, it's published in the recent Minnesota Bride magazine. To see more of An and Aaron's wedding follow the link. A special thanks to all the incredible vendors that made this wedding happen! 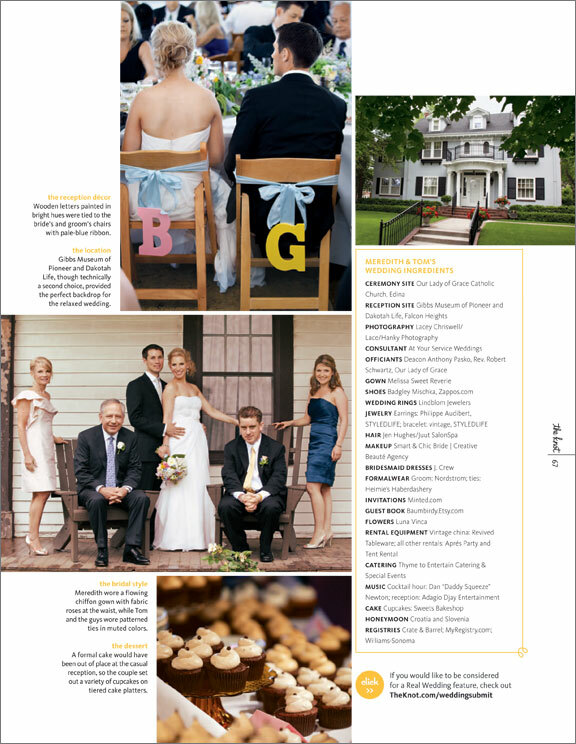 We are thrilled to announce that two of our fabulous weddings where chosen for publication this season. 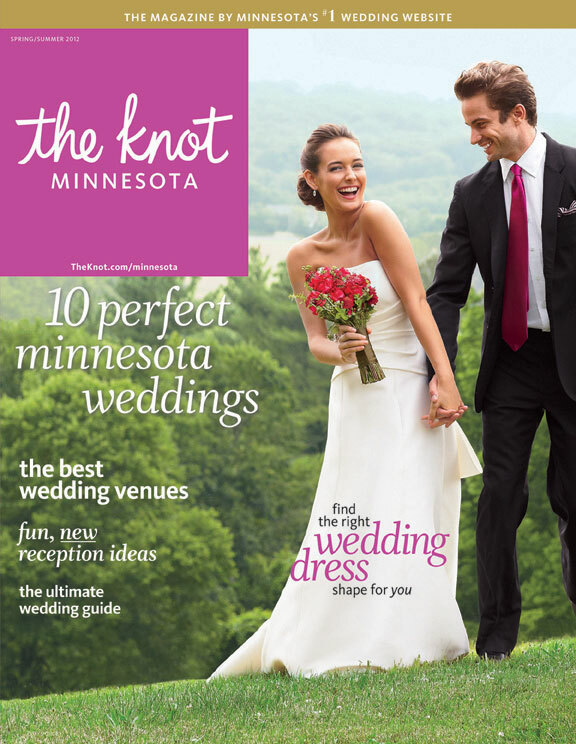 Check out Minnesota Bride's latest issue in local bookstores and grocery store's to see Kate and Karl's elegant soiree. Kate and Karl you look amazing! 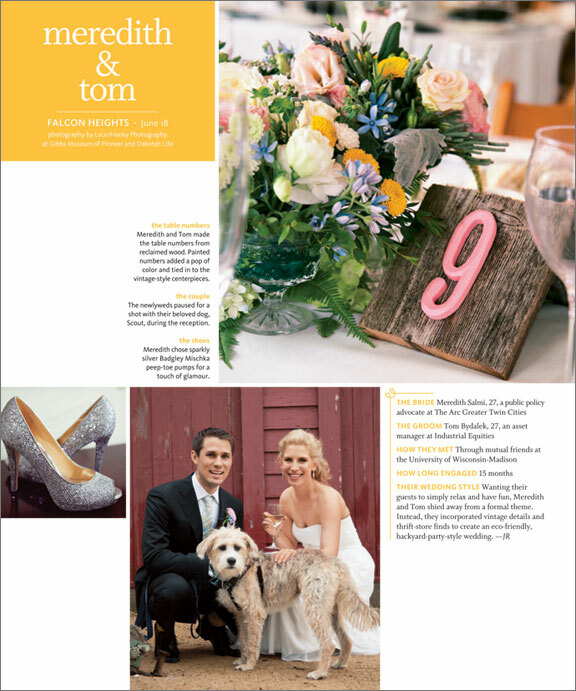 We are so excited to have Meredith and Tom's green wedding published in The Knot! We also want to send out a special thanks to all the amazing vendors that made this wedding possible! 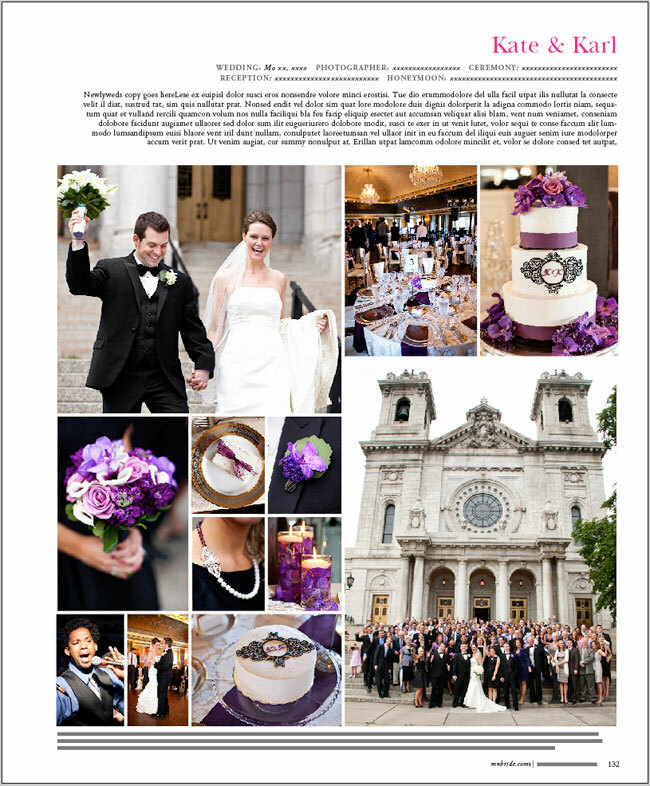 Check out the goergous wedding that Jill and Mark had at the Basillica with a reception at the Walker Art Center. The amazing flowers Bastian+Skoog put the whole event over the top! See more from this wedding.